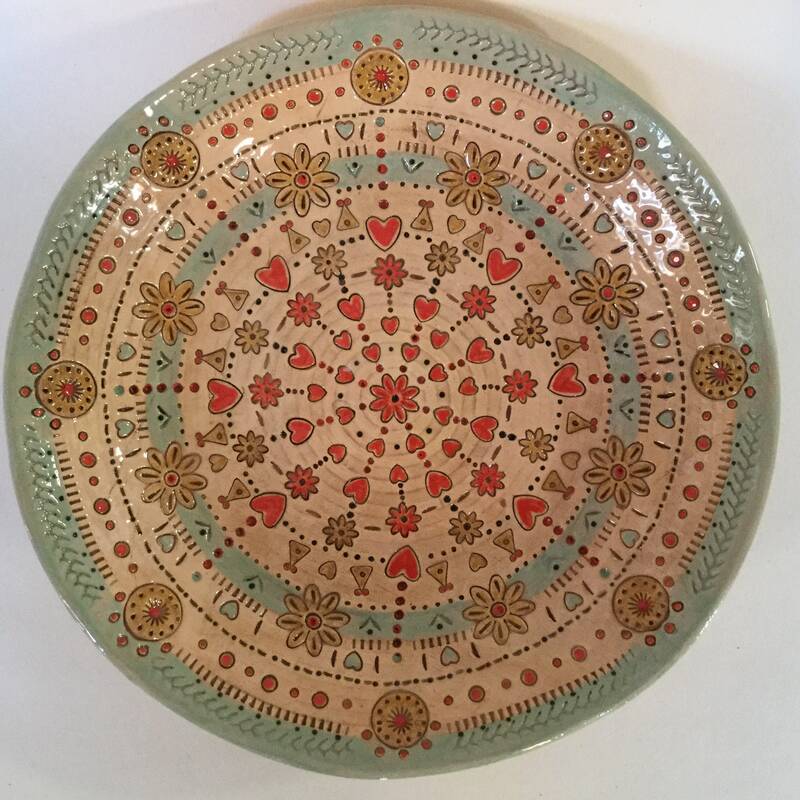 Unique, handmade plate, mandala type pattern on inner surface. Colours are golden yellow, green, and red with pale honey background. 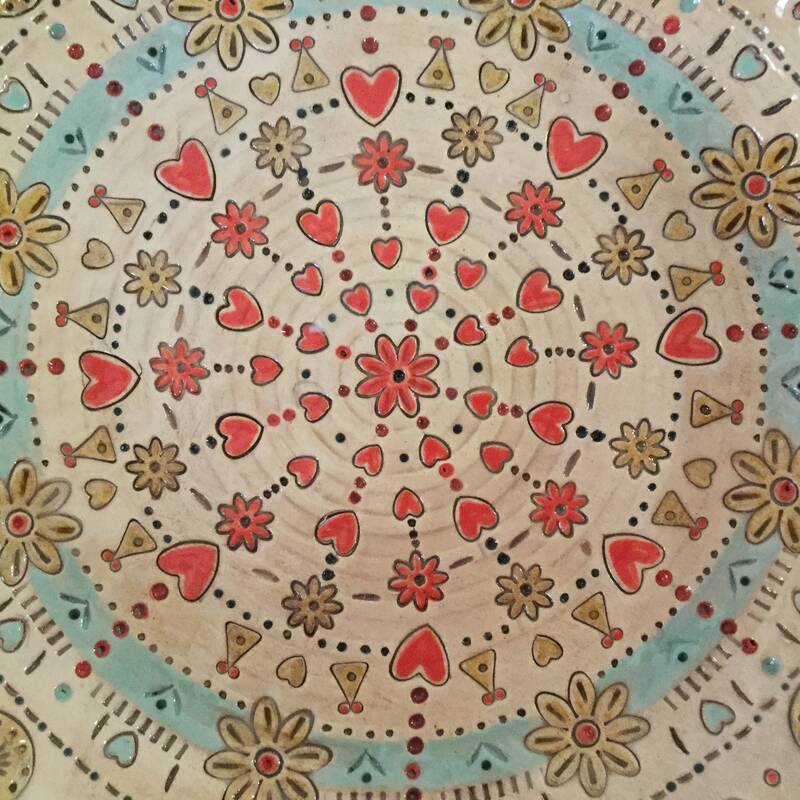 Lots of bright red hearts and flowers - really cheerful piece. 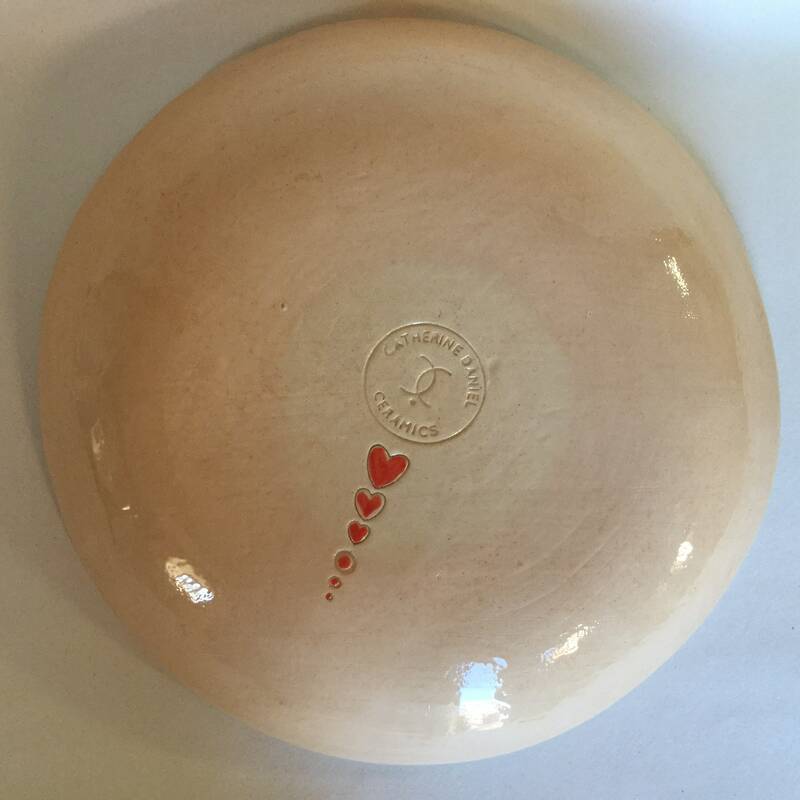 Measurements: approx 23.5cm diameter x 3.5cm high. 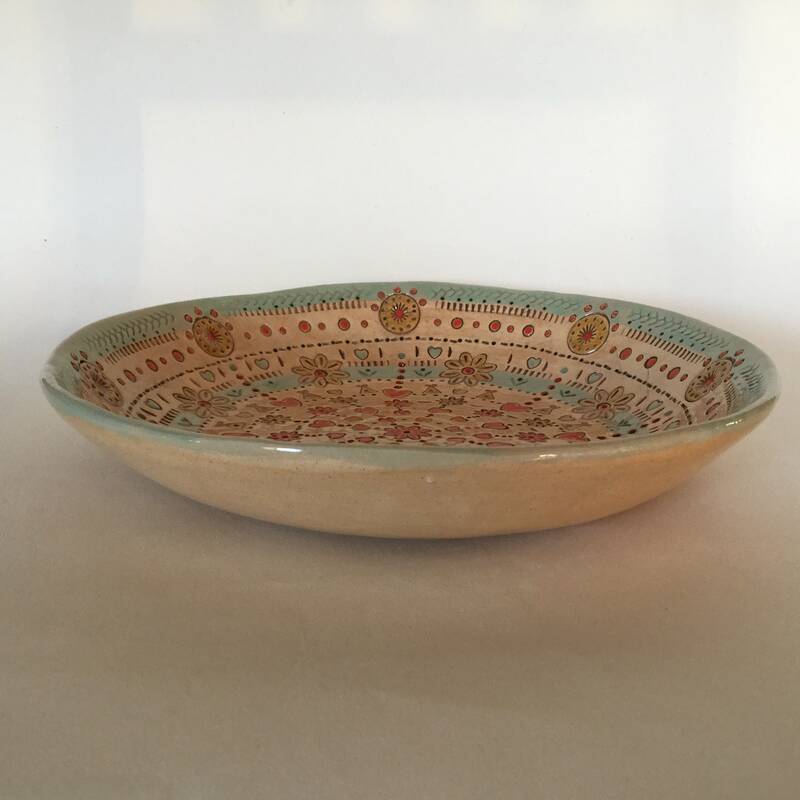 Made by hand and glazed by hand in my home studio, in Norfolk, England. 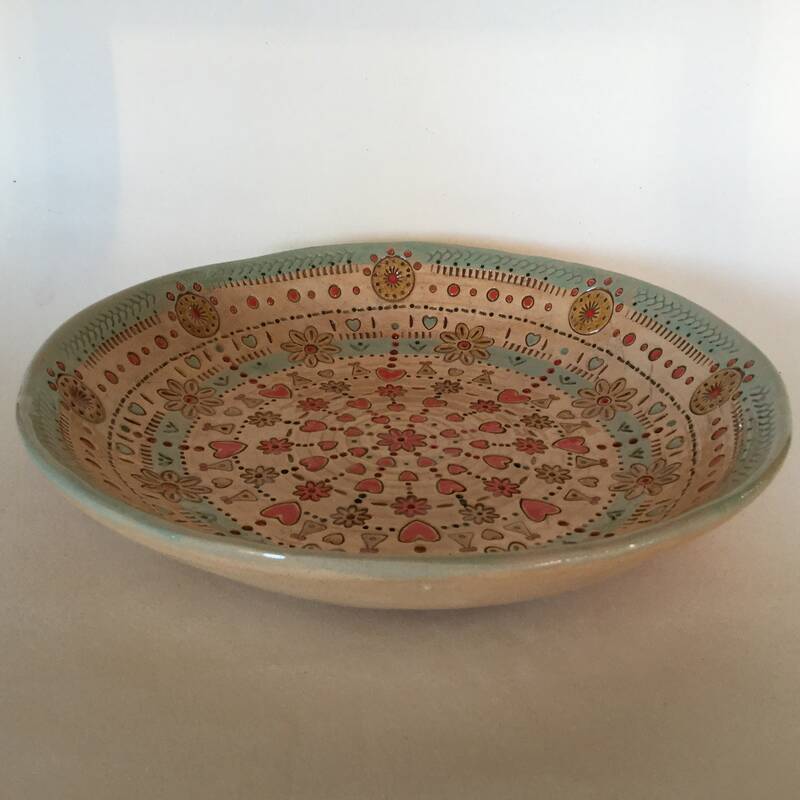 Made from earthenware clay. 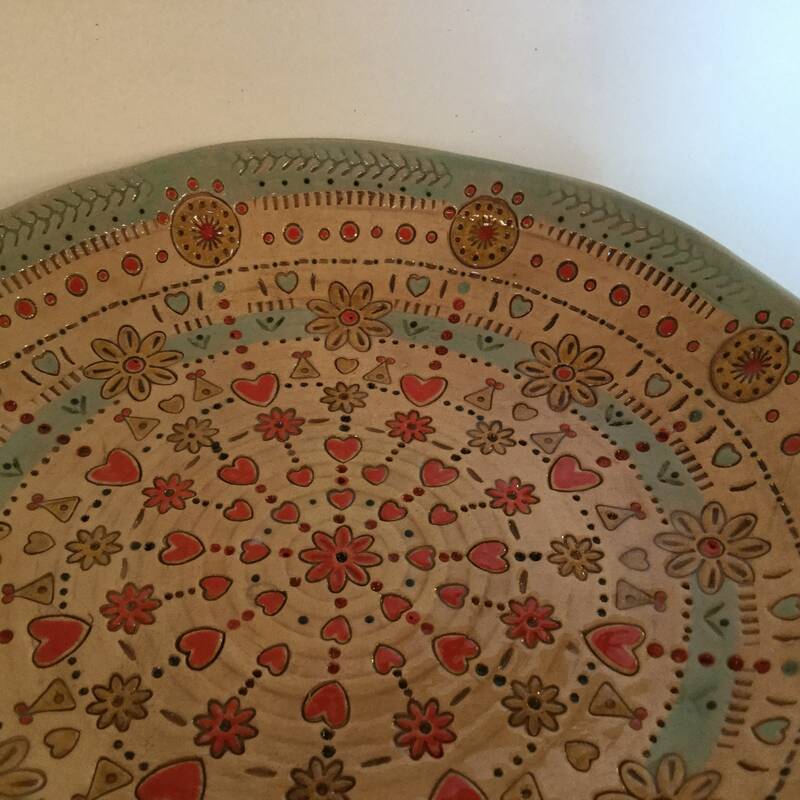 The pattern is made by etching/pressing the design into damp clay, then at the bisque stage, picking out the design with coloured glazes. I am pleased with way these colours just sing out! Wipe clean only. Not for food use. Would look fabulous displayed on a dresser/hutch.